Delivering highly reliable services that always perform builds customer loyalty, drives adoption, and creates revenue opportunities in a crowded market. With multi-vendor, all service, ubiquitous QoS/QoE monitoring, service providers and enterprises can gain control of evolving networks, increase agility, embrace digital transformation, lower operating costs, and turn performance into a key competitive asset. SDN and NFV-based big data analytics are converging into into intelligent, fully automated networks. 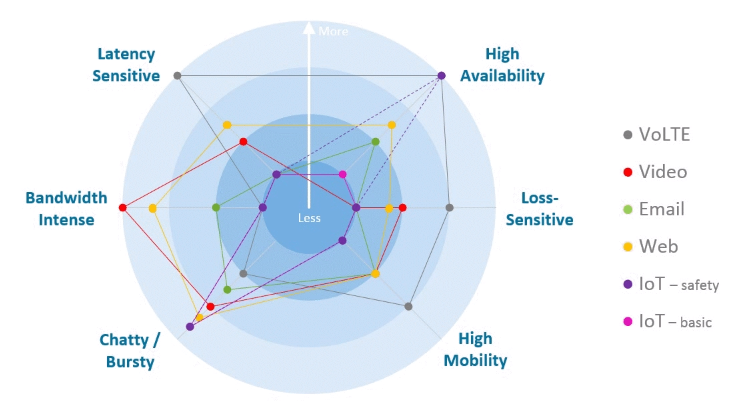 As this trend continues, performance visibility is shifting from from a troubleshooting tool to the central nervous system that will guide network-wide control and intelligent traffic management (ITM). With the emergence of the Internet of Things (IoT), 5G mobile networks, and a dramatic increase in hybrid cloud connectivity, networks will be managed as virtual ‘slices’—or offered as virtual Private Networks as a Service (vPNaaS)—supporting thousands of concurrent services competing for resources from a common infrastructure. Each application’s unique performance requirements will need to be managed; the network will need to be scaled and configured dynamically to optimize QoS, QoE, and network utilization. Big data is the glue that will combine “small and fast” analytics with “big and deep” data to allow SDN controllers to optimize the user experience in real-time, while driving revenue opportunities with rich user context and service usage insight. It all starts with a complete, real-time view of network performance and user experience that serves as a platform for control. 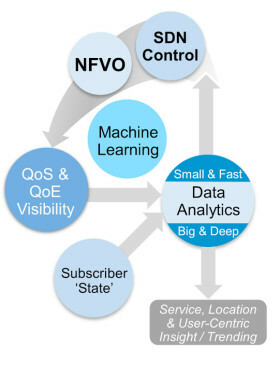 Ubiquitous visibility is the core of “small and fast” analytics—allowing operators to “drive by wire”—with quality of service and customer experience as closed loop feedback in a fully automated network. Virtualized instrumentation is a key component in establishing a complete view of the network state over multi-vendor, hybrid networks. It can act as as real-time feed to SDN controllers, enabling dynamic performance optimization (DPO), and feeding big data analytics platforms with detailed per-session, per-flow, per-link, and service performance data. Full visibility across all services, subscribers, applications and network infrastructure usage. Control over complex, dynamic networks with the real time information required to make proactive, prescriptive network management decisions. Optimized networks and differentiated QoE driving ARPU, market share, and margin. Assured return on investment and mitigated risk for LTE, SDN, and NFV upgrades by ensuring that performance and business goals are achieved or exceeded. Confidence to migrate to NFV and SDN technology in the most cost-optimized, operationally efficient way. A foundation for the automated, intelligent, self-optimizing networks that will be required to support massive cloud connectivity, 5G, IoT, and M2M communications. Providing the most complete, current view of network health, Accedian dramatically improves visibility with actionable insights that providers use to reach peak reliability and significantly boost QoS. 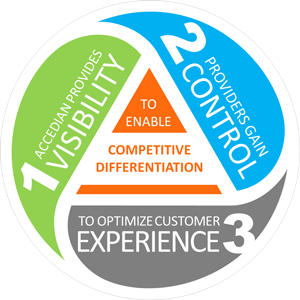 Accedian enables control over increasingly complex, multi-vendor networks to increase agility and reduce cost—without constraint. With unrivalled performance assurance, providers extract the most from their network, and can fully embrace the migration to SDN and NFV with confidence. By delivering a fully optimized and performance assured network, Accedian proactively ensures networks meet increasingly stringent performance requirements to deliver an exceptional experience (QoE) to every end-user.